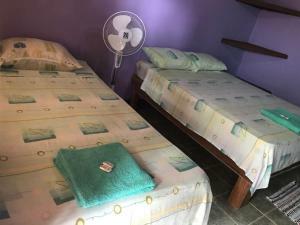 ﻿ Best Price on Cabinas Caribe Luna in Cahuita + Reviews! 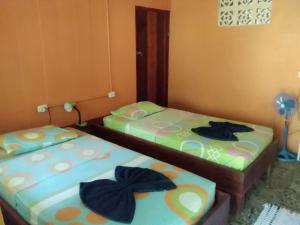 Cabinas Caribe Luna is located in Cahuita just 2297 feet from Cahuita National Park and 984 feet from Playa Negra. Guests can enjoy the large garden filled with monkeys, frogs, and birds on site. Accommodations include private bathrooms with hot showers, as well as private terraces with hammocks and stunning garden views. 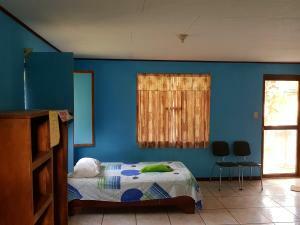 WiFi access, a TV, daily maid service, bed linens and ceiling fans are also provided. An array of activities can be enjoyed on site or in the surroundings, including horse riding, canopy tour, snorkeling, fishing and hiking. The property offers free parking. Limón International Airport is 35 minutes’ drive away.